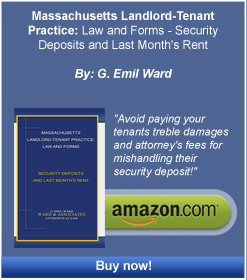 Accident Claims Counsel and Support - Boston Real Estate Attorney. Eviction Law. Zoning and Variances. Housing Discrimination. Frequently, auto accidents occur where people are injured whether it is the driver, passenger or a pedestrian. People also slip and fall perhaps at private homes, in places of business or on the sidewalk. When this happens, clients come to us to help them obtain money damages for their injuries and in those cases we offer Accident Claims Counsel and Support. Often, a victim of an accident or of a slip and fall incident, as they are generally known, can recover for lost income-earning capacity, pain and suffering, and medical expenses, both past and future. There are times where the spouse who was not involved in the accident may have a valid claim against the negligent party. Similarly, a parent may be able to recover for his or her own damages for the injuries done to the relationship between the parent and child as a result of the accident. The children, although not involved in the accident, may have claims against the driver or negligent store owner. Ward & Associates has handled a number of these accident cases and we have obtained very good results for our clients. Our firm takes these cases on a contingent fee basis, meaning if we do not collect damages for you through settlement or trial, our firm is not paid a fee by you for anything other than out-of-pocket expenses. Please contact us for a free consultation if you or anyone you know has had an accident, or slipped or fallen and has been injured. We would be happy to discuss the matter with you free of charge.